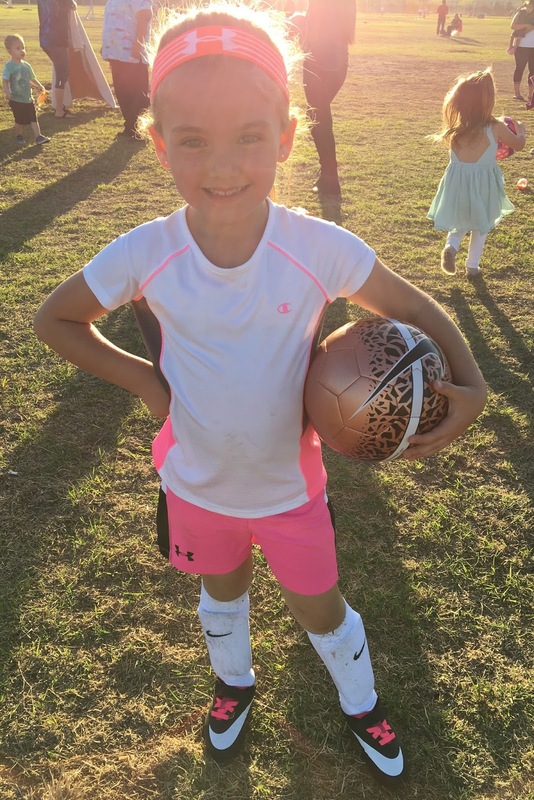 ...Gracie had her first soccer practice of the season on Tuesday, and she loved every second of it. They made her run so much and did lots of drills, which is far different than her team last year that basically stood around not knowing what to do. 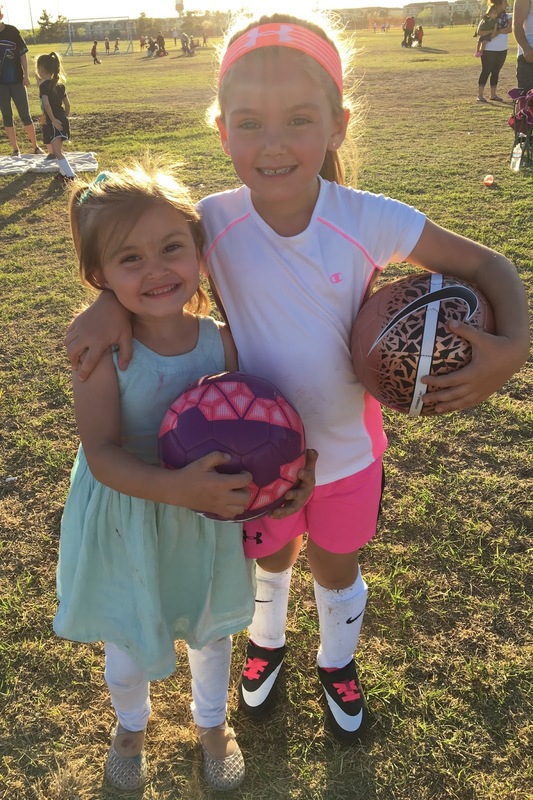 After practice, she was excited to learn that they would have two a week. 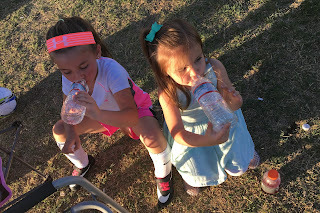 ...Char loved watching sister and even got the neighborhood kids involved practicing their goals out front. 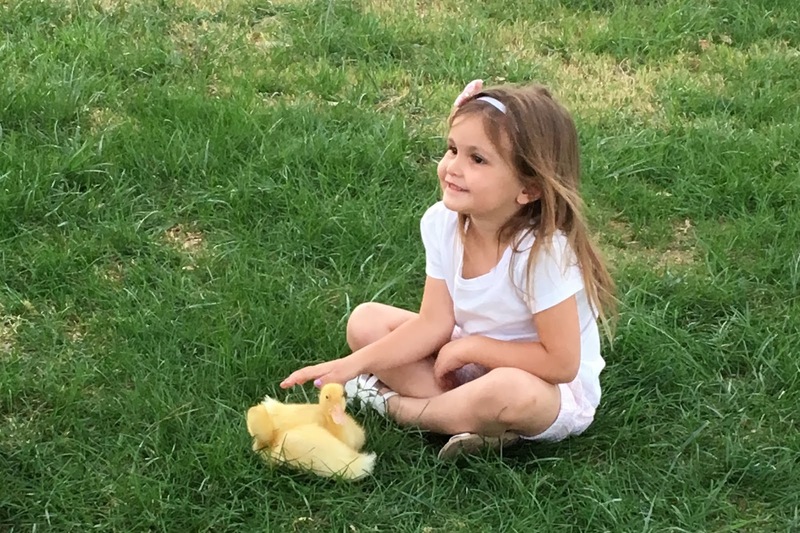 She can't wait until she's four and can play with Gracie in the fall. 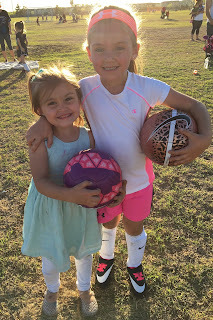 ...Thursday was St. Patrick's Day, so the girls dressed up in our favorite shade of green for their class parties. 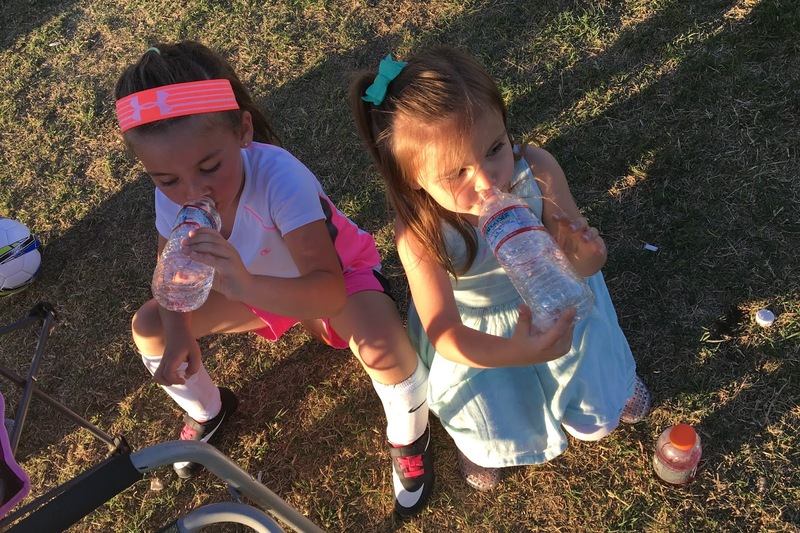 ...Thursday was another soccer practice, and Char worked so hard, she had to take a water break with Grace. ...she also played with the smallest puppy ever and fell in love with it. 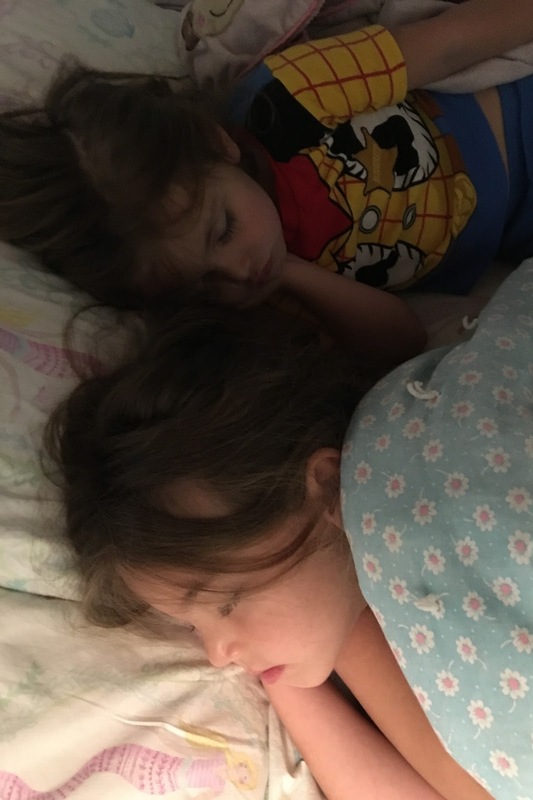 ...it's been an entire week since the girls woke me up in the middle of the night for something. They are officially in their own room sleeping through the night by themselves. Some nights I feel sad, because I slept in there with them for so long, and I love to snuggle with them when they are sweet and sleepy. Then I remember that in just a few weeks, I'll have a new baby to start the process all over with. These milestones remind me that my girls are growing so fast and becoming so independent, and I need to cherish them being little more often instead of getting frustrated and yelling all the time. Just look how sweet they are sleeping like little angels. ...Gracie got her spring school pictures back, and she looks like a mini-teenager. 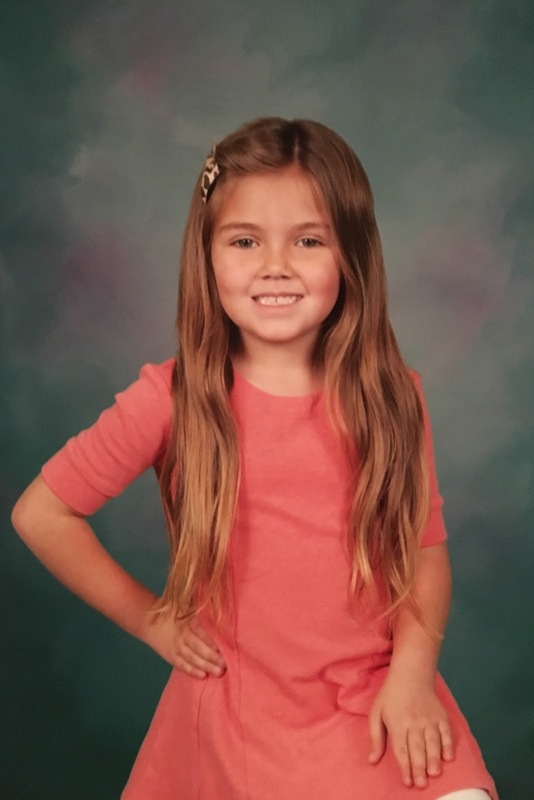 When did she get this big?! ...videos of baby Char were popping up on Timehop all week giving me the craziest baby fever. Luckily, I've already got one on the way. 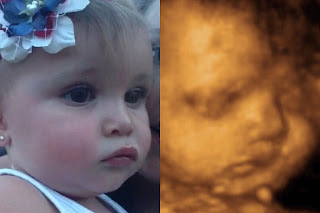 I couldn't believe how much this picture of Charley looked like Perry's ultrasound pictures. 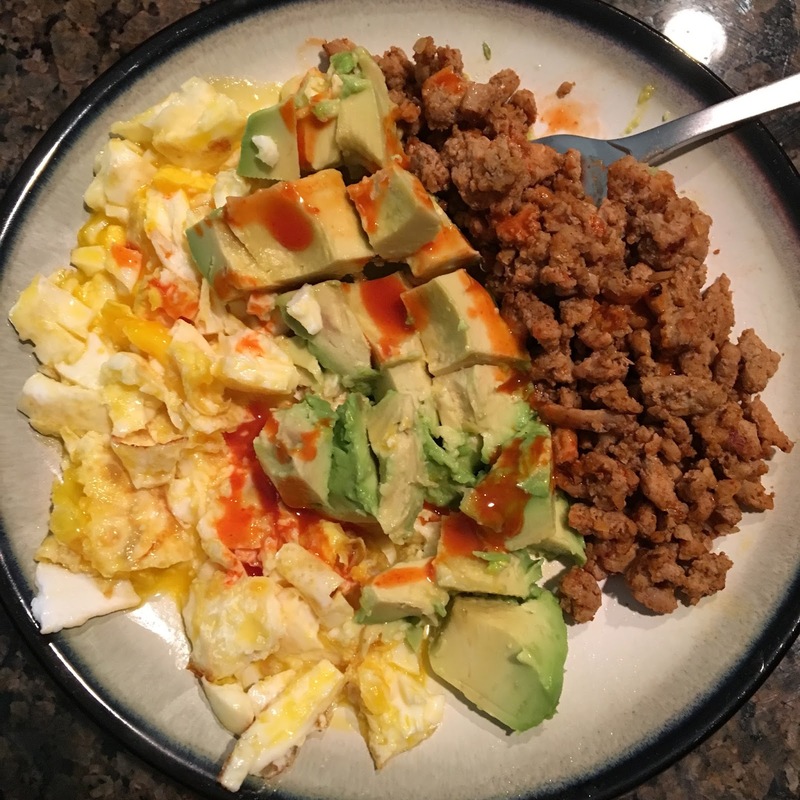 ...I've also been craving tacos allll the time. 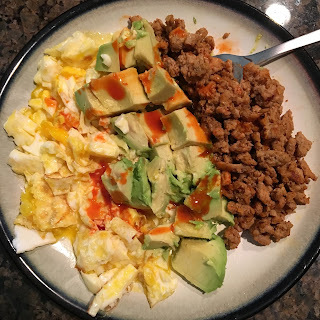 We have tacos for dinner, I take leftovers for lunch, and on weekends, we have eggs, avocados, and ground turkey with Cholula. I just can't.get.enough. 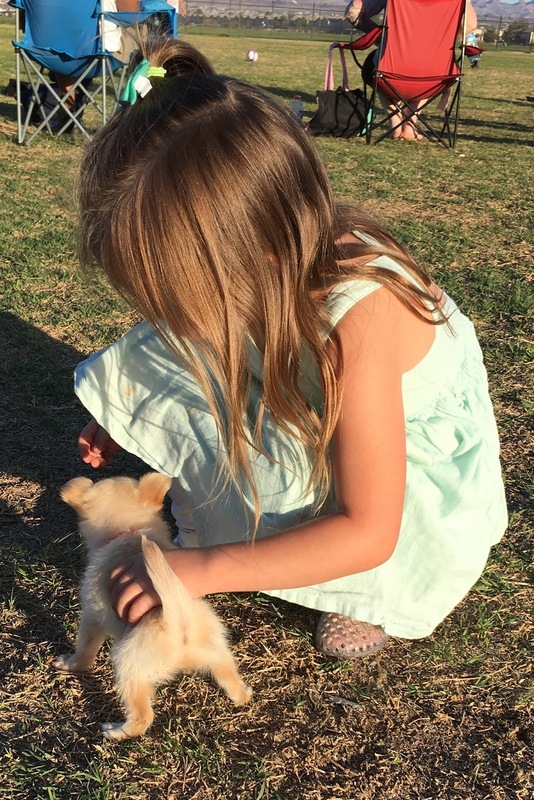 ...the girls had a busy weekend scheduled with sleepovers at Grandma Sunshine's on Saturday and Grandma Espejo's on Sunday. ...they had a blast having egg hunts, dying Easter eggs, and even getting their nails done at the salon. 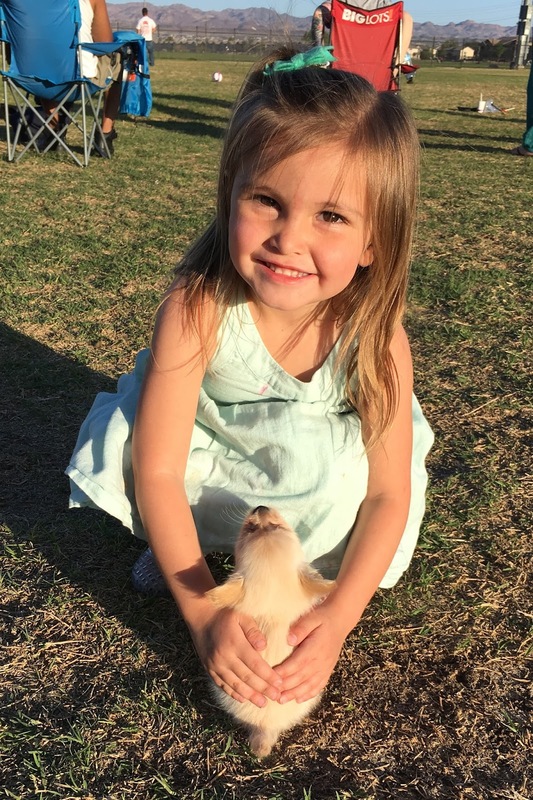 Presley was with them the whole weekend, and they loved playing with her for two days straight. ...Saturday night was Allison's bachelorette party. I met Geni at the hotel around 3:30, and we got the room all decorated and ready for the night. 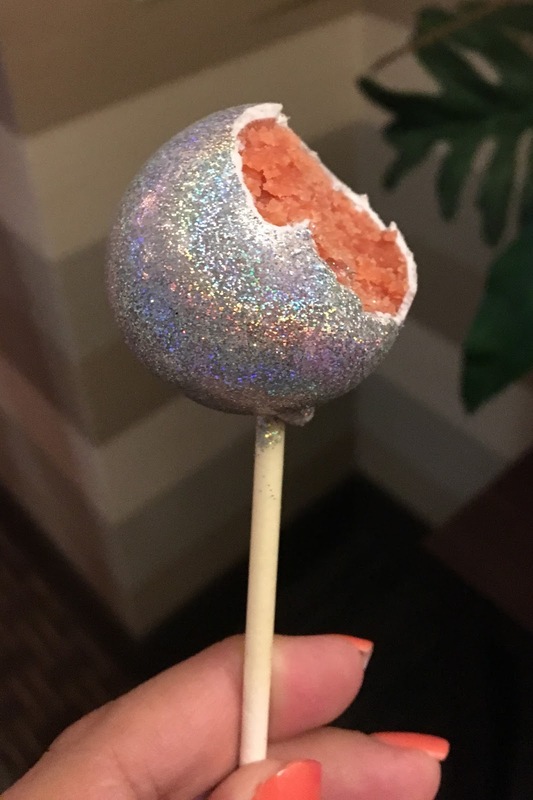 She got the cutest cake pops, and everyone arrived right on time. ...we headed down to dinner around 6:30, and we ran into some firefighters on the way. Of course we made Allison take some pictures with them. ...after dinner, the rest of the girls enjoyed some drinks and dancing on the Tijuana Trolley. I headed home, because I was exhausted by this time. 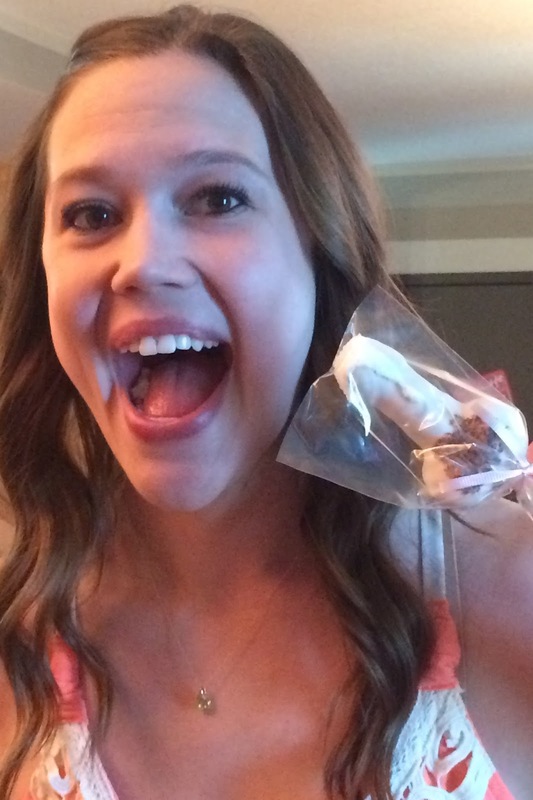 From what I've heard and seen in pictures, they had a great time celebrating Allison's last night of "freedom". 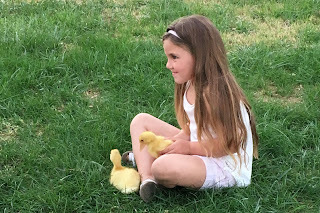 ...Sunday, I picked the girls up from Grandma Espejo's for our mini duckling photo shoot. 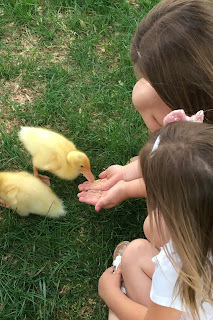 As usual, they loved playing with the baby ducks and feeding them. 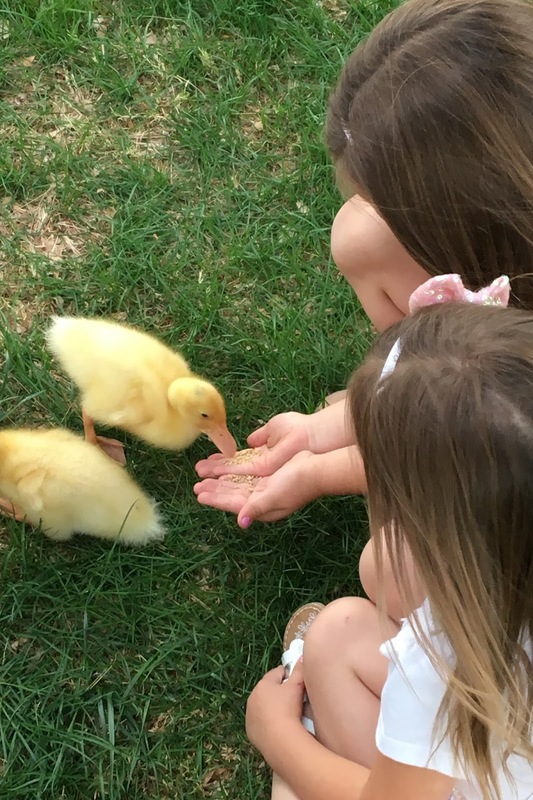 Grace would only give them duck food, while Charley was down to hold some worms to treat them. They turned out so cute even though it was overcast and a little windy right as our shoot started. Thanks, Felicia!! ...Allison and I were talking about these little strawberry ice cream cups at work, and she mentioned that Alex hasn't been able to find them anywhere. I had to send her a picture when Isaac found me some at the store. 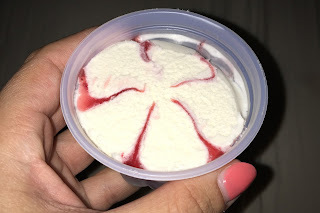 They were just as delicious as I remember.